Is there a better alternative to Norton AntiVirus? Is Norton AntiVirus really the best app in Virus category? Will Norton AntiVirus work good on macOS 10.13.4? Symantec's Norton AntiVirus is an antivirus solution that automatically removes viruses from email attachments, Internet downloads, and other sources, without interrupting your work. Now it also finds and removes PC viruses to ensure that you don't spread infections to friends and colleagues. Symantec's exclusive LiveUpdate technology helps protect against the latest threats by automatically checking for new virus definitions and downloading them to your computer over the Internet. Don't let viruses destroy your valuable data. 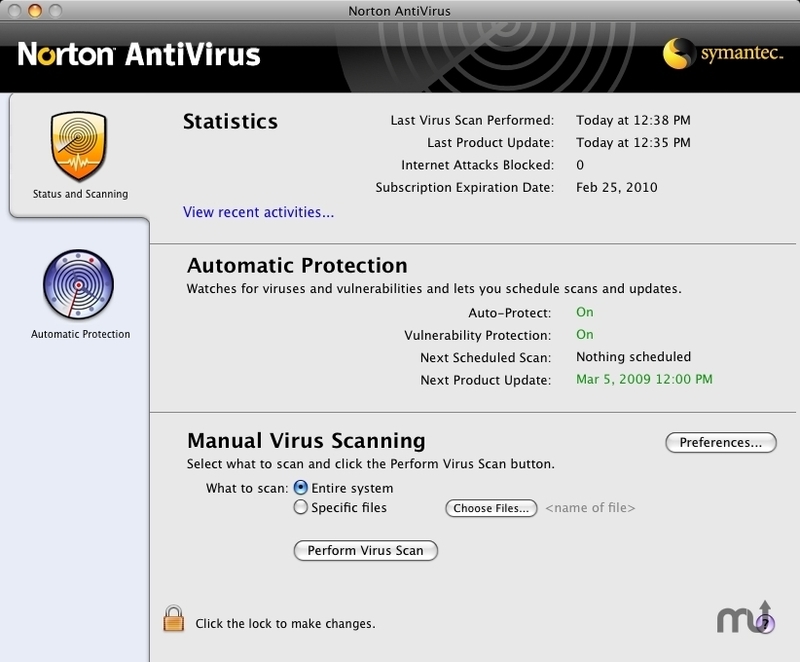 Protect it today with Norton AntiVirus for Mac.